Brunch is a big deal and we have a menu that’s got a little something for everyone! Join us from 11am to 3pm and consider ordering the Banana Nutella stuffed French Toast, the Steak & Egg Burrito, Crab Cake Benedict or the sensational Mushroom Truffle Pizza. Yes, we said pizza for breakfast! We also have a selection of salads, sandwiches, eggs and much more to choose from. Take advantage of our bottomless Bloody mary and mimosas for only $15.95 per person. Seating is 1.5 hours and everyone must participate. 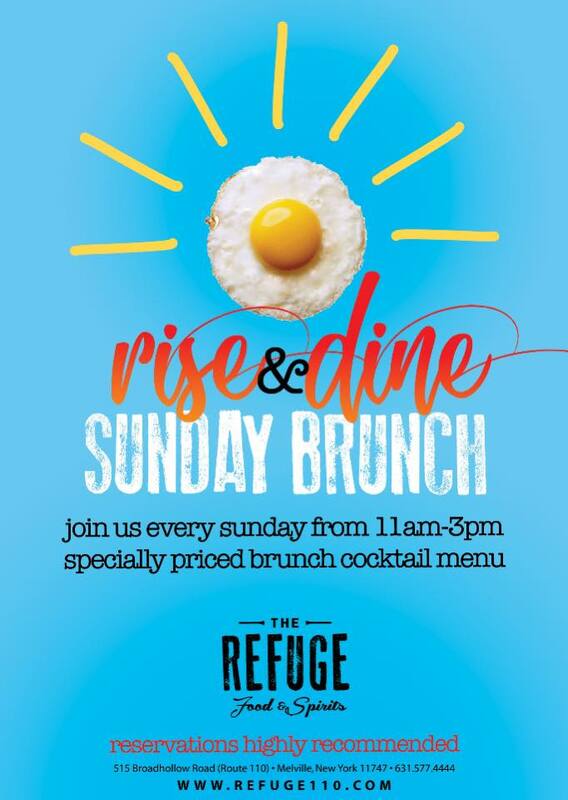 Everyone loves going to Brunch, so when tasked with planning your next bridal or baby shower, head to The Refuge. For an intimate, warm and relaxed setting, this is the perfect venue. Depending on the size of your party, you can book a large table for Brunch or a private event. Contact our Private Event Coordinator for more details.